As your local water utility provider, we strive to keep you continually updated on all matters related to your water service. 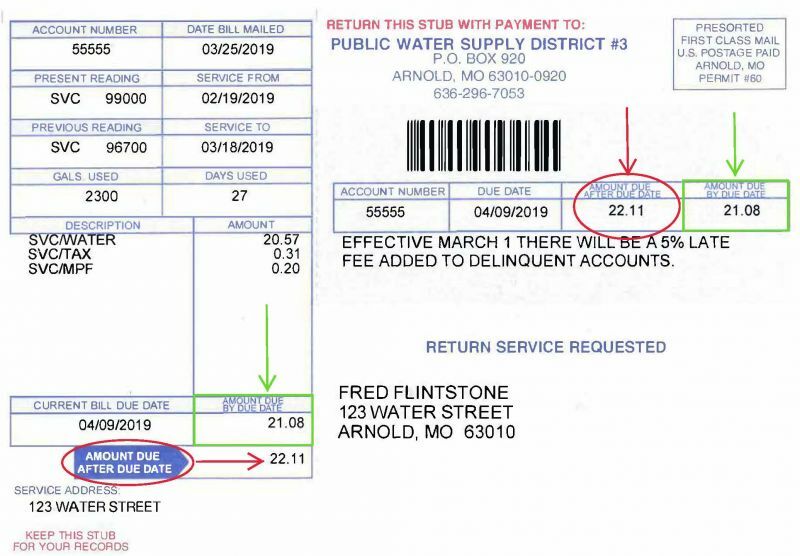 New bills are reflecting the 5% late fee that was put into effect March 1, 2019. The Amount By Due Date is highlighted in green. The Amount Due After Due Date is circled in red. EFFECTIVE MARCH 1, 2019 THERE WILL BE A 5% LATE FEE ADDED TO DELINQUENT ACCOUNTS.